Decorated with two crouching boys and pomegranates, symbol of fertility. China, Song Dynasty (960-1279). H. 20 cm. 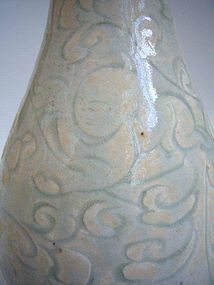 Condition: some age wear to the glaze, no damage or repairs.